They’re back. Maybe not in black and yellow, but metal veterans Stryper are set to deliver Live at the Whisky. Admittedly, I was surprised to realize that considering the wealth of albums and songs produced by Stryper since their inception in 1984, they had never produced a live album. With Live at the Whisky it is time for the band to make amends. 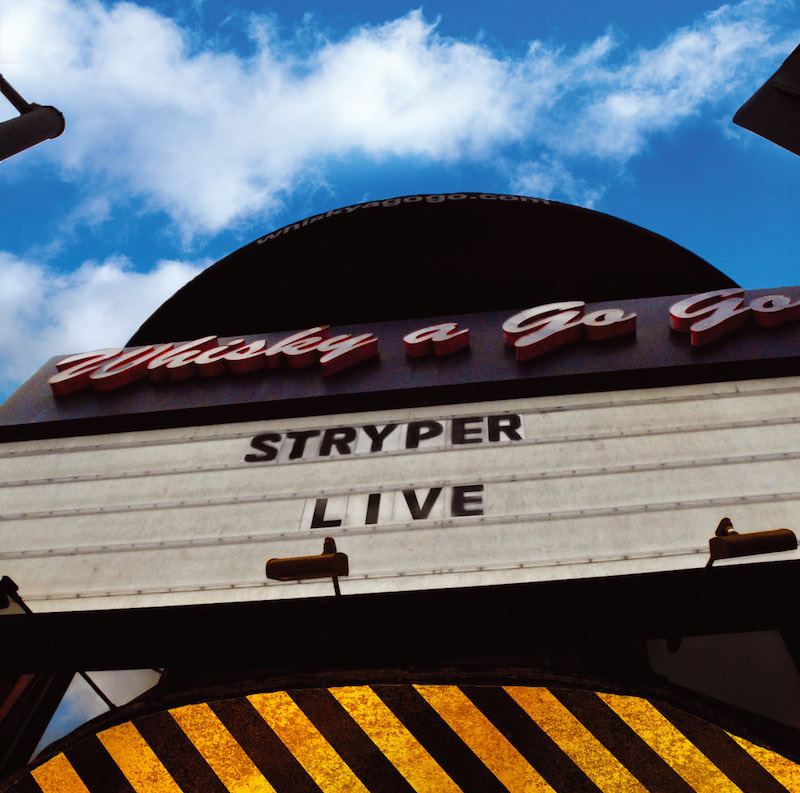 Stryper’s live set was recorded at a sold-out show last November at the famous Whisky a Go Go on Sunset Blvd. Stryper has been in a whirlwind over the past year. The band has released a mass of recordings since 2013, including a re-recording of older favourites on Second Coming, a new collection of songs on their No More Hell To Pay album, and frontman Michael Sweet’s 2014 solo album, I’m Not Your Suicide. As wine improves with age, so has the musical prowess and power of Stryper. For those who have seen Stryper on stage (or those who have never had the chance), Live at the Whisky, gives an outstanding example of the kind of performance Stryper creates on stage. The question for the band at the onset of project must have been which songs to include. Live at the Whisky gives the simple answer…. all of them. 16 tracks and and hour and quarter long won’t leave even a diehard Stryper fan asking for more. Expectations may be shaken as Stryper begins Live at the Whisky not with a classic track, but with “Legacy” from 2013’s No More Hell To Pay. Track two follows up with a relatively flat rendition of “Marching Off To Battle”. A generous vocal break by Michael Sweet allowed the crowd time to blend their voices into “You Know What To Do”. Michael Sweet gives an invitation to the crowd to join in, “Definitely need your help on this one, your voices are better than ours” over the intro to “Always There For You”, but Sweet’s voice shines on the album, especially on favourites such as “Loud And Clear”, “Free” and “The Way”. Sweet has abundant help on harmonies with Gaines and Fox adding their voices on a multitude of tracks. It comes as no surprise that the stand-out closing tracks for Live at the Whisky are Stryper’s trademark number “To Hell With The Devil”, and a song that Michael Sweet has described as defining their ministry and role, “Soldiers Under Command”. With Live at the Whisky, the original Stryper foursome of Michael and Robert, Sweet, Oz Fox and Tim Gaines, have shown the will and talent to pull off what can be considered the highlight to their musical legacy. Releasing Sept 23rd, Live At The Whisky is available for pre-order at Amazon.